A new Gadget is going to launch on July 2016 called NVIDIA GeForce GTX 1060. GTX 1060 Compare to RX 480 is faster and efficient. This Massive GPU is going to launch July 2016, rumored July 7th, 2016. This is the strong competitor against RX 480. This release from NVIDIA is one of the best releases in the history, because it’s quite cheap, efficient and best according to the tested Performance. NVIDIA GTX 1060 vs GTX 980, the GTX 980 has an additional point in term of memory interface, GTX 980 had 256-bits Geforce 1060 had 192-bits. This card will most likely not supports SLI. 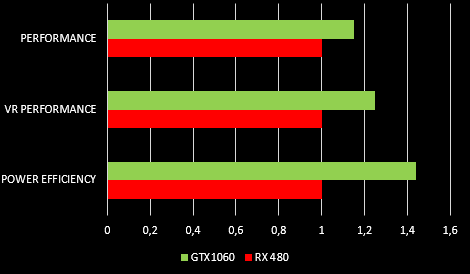 The following Image will show you GTX 1060 Performace.GTX 1060 Vs RX 480. The above Image show the comparison between RX 480 and GTX 1060. The GTX 1060 VR performance is higher than RX 480 and its performance and power efficiency is also better. GTX 1060 TDP is rated as 120W. 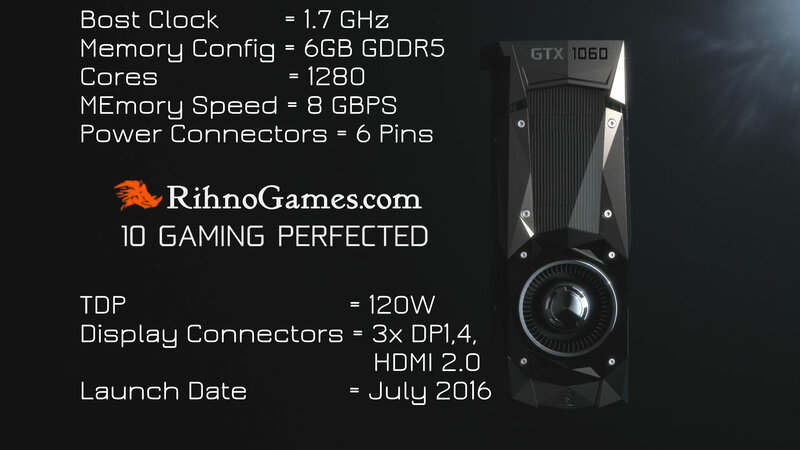 The release date of GTX 1060 is July 2016 and Rumored on July 7th, 2016. GTX 1060 price is quite different according to the country rate. The Performance, Bit rates, Specs, Price and launch date are described Below.